My dad was from Brevard, NC and grew up in a home without running water or a bathroom. Both of my parents grew up in large families and they had little to eat. Mother’s family farmed, but Dad’s family depended on the wild of nature very often, so squirrel and dumplings was a staple in their home. In his early twenties, Dad served our country in the army and was in the invasion of North Africa where he was captured by the Germans. He spent 22 months in Stalag II B as a POW. He worked on a farm detachment raising crops to feed the Germans. He told his children very little about his hardships there. I recently ordered a report on the conditions of Dad’s Stalag and cried as I read it. Dad told us of the brown mystery soup they were fed and told jokes about how they would steal potatoes from the ground and eat them raw. As I grew up, Dad and Mother made sure we were well fed. I went with Dad every week to cash his $89 mill check and then on Saturday he would take me to Winn Dixie (He called it the Dixie Store) and we would buy groceries for the week. He also bought his children treats – a multi pack of Hershey Bars and a multi pack of Juicy Fruit Gum. I never felt hungry like my mom and dad did as children. I am thankful for the love of my parents. 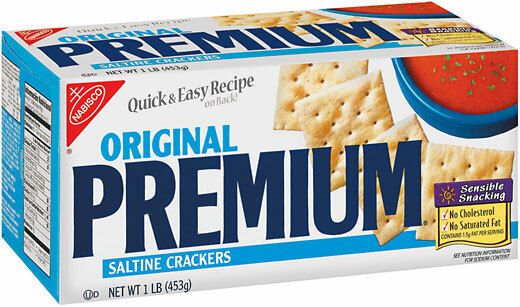 I still love sodie crackers and eat them daily. I just wish Dad had some when he was a child and a POW. It doesn’t matter where you come from, or what you grew up eating, Jesus came for all people in all situations. My Daddy eats sodie crackers, too!